How would you like to develop your own original film projects and screen your final film at an internationally renowned London cinema? In Film Practice you’ll learn the foundational skills of filmmaking, then specialise in Cinematography, Writing/Directing or Editing and Post-Production, honing skills that will make you a valuable asset in the film and media industries. This course is accredited by ScreenSkills. ScreenSkills offers industry focused advice and quality control assurances for staff and students on filmmaking degrees; it offers 24 hour support for industry professionals, liaises with government, and it now delivers the BFI's Future Film Skills training. Film Practice graduate, Sam Buffery-Turnell, triumphed at the RTS London Student Awards in the Short Feature and Best Editing categories for his film, I Love Tennis. Read more about his achievement. Use the latest HD and Ultra HD camera technologies, both 4K and 2.5K, with the choice to focus on production, post-production, screenwriting and film criticism in your second and third year. Elephant Studios: Multi-million pound studio facilities at the forefront of digital technologies and multimedia practice for creative students. Satisfaction: we’re London’s no 2 for student satisfaction with teaching and assessment in Film Production and Photography (Guardian League Table 2018). Professional links: from Channel 4 to Saatchi and Saatchi, we have the contacts to help you build a valuable network, with work experience that really makes a difference. Be seen: LSBU alumni have screened at Portobello Film Festival, White Sands International Film Festival, Cinemagik Short Film Festival in Malta and many more. Location: with 15 large international media companies, television companies and theatres on our doorstep, this is the place to be. 3rd in London for graduate prospects in Drama, Dance & Cinematics (Sunday Times 2019). Top 2 amongst London competitors for academic support and student voice in Cinematics and Photography (National Student Survey 2018). I've experimented with filmmaking in ways I never thought I would, and I can implement those newfound techniques in my freelance work. I want to make films that change the world and open people's eyes. It's all about reaching people. Being so close to the media epicentre of London was a big part of the decision-making process. The British Film Institute and the artistic culture of the South Bank is just a short walk away from campus, which I thought would be a great way to complement my studies. 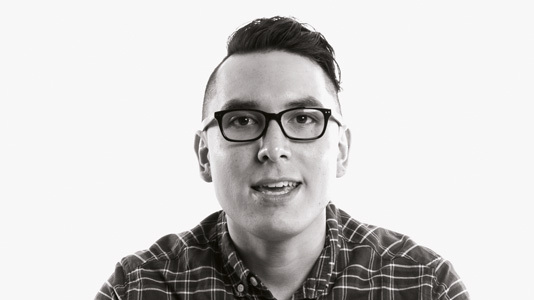 Nic Sanchez, BA (Hons) Film Practice, came to LSBU to pursue his true passion after working as a skills trainer at a large technology outsourcing company in the USA. Pablo Segovia's film 'Outsiding' won 'Best Experimental Film' at the Screentest National Student Film Festival. During the course, you'll learn to analyse the way films are constructed, how to express yourself through creative media practice and perform specific roles in the film production workflow according to industry standard practices. You’ll work with state of the art facilities on projects with high definition cinematography, digital editing and advanced post-production, whilst also learning how to write and pitch your own screenplays and film treatments. When you graduate, you should have a professional portfolio that meets the current demands of the industry. This is a practice-based film making module that helps you to practically learn the techniques and technologies for moving the camera. These skills are learnt in the context of thinking about what bodies on screen bring to our experience of films, including ideas of identity and difference, the dynamism and energy of movement itself, and the metaphorical potential of physically embodied and performative people and characters. Short 3 minute film (30%) and a short group-based video project 70%. This module introduces working with digital video cameras, lights, sound and video editing software. You'll light and shoot a short scene consisting of a conversation between two people. In the process you'll be introduced to what it means to ‘cover’ a scene, and to the practicalities of editing together sound and image from different shots and different takes. You'll also be introduced to key production management skills such as: scheduling, call sheets and budget considerations. Assessment: 100% coursework, made up of 2 minute video group -work (60%) and individual reflection (40%). This module explores the history of documentary film making along with the theoretical frameworks that shape our understanding of its claims to represent the world. A 12-week screening programme introduces you to the major documentary modalities, including those that problematise notions of truth, history and objectivity. We'll also consider how technological, ideological and aesthetic factors impact upon documentary film making and its reception. Assessment: coursework 100%, in two parts: sequence analysis of a film (30%) and essay (70%). In this module you'll conduct research into a documentary subject and collaboratively develop and produce a short documentary film. We'll explore different conventions, styles and methodological frameworks for creating compelling non-fiction stories and experiences. This exploration will encourage you to reflect on the ethical and aesthetic implications of certain approaches, and will guide you as you negotiate the difficult matter of representing real events and people while simultaneously managing the challenges of film production. You'll develop your pitching skills and the importance of group work and project selection processes. Assessment: pitch and portfolio (30%), plus group production of a documentary (70%). This offers both practical training in the use of post-production software, and practice-led seminars that explore the history and theory of montage. You'll explore editing techniques while thinking conceptually about what editing means in different contexts. This module will develop your practical skills and introduce you to different theoretical and ideological approaches to editing, from the political formalism of dialectical montage, to the poetics of collage, and the suturing instinct of continuity editing. Assessment: 3 minute montage (70%) and written analysis (30%). The goal of this module is to achieve recording of the highest quality location sound to best facilitate your film making ambitions. Sound is the one element that will most expose any shortcomings in your film production standards, and getting to grips with the basics here will go a long way towards improving the quality of your films. A big part of learning to record great sound is learning to listen, which in turn requires an understanding of the characteristics of different kinds of sound and the behaviour of sound in different environments. Such considerations as these are central to the module, while instruction on the most common film making situations and the most common problems encountered when recording sound will give you a firm grounding in sound recording techniques and technologies. You can pursue an interest in sound further by enrolling on optional modules in sound editing and sound design in your second year. Assessment: short drama with sound (group work) - 100%. The production of film and video is almost always a collaborative exercise in some form or another. In the industry this means that teams of people, rather than the lone individual, predominantly produce work. This module offers you the opportunity to gain experience of work within the media industries through placement, shadowing experience or industry engagement. A placement will typically be for two weeks and students will be required to reflect upon the culture, conventions, practices, power hierarchies and representations of the organisation. The focus will be on identifying what is happening in your chosen sector in terms of trends, issues and markets. Assessment 100% coursework made up of a 5 minute presentation (40%) and a 2000-word report (60%). In this module we'll use both skills-based training in the use of High Definition (HD) cameras as well as the study the techniques and aesthetics of cinematography. You'll be exposed to the particular demands and possibilities of working with High Definition cameras and editing workflows, and will be asked to shoot scenes according to specified aesthetic and dramatic criteria. You'll be encouraged to work from their own scripts as developed in the adjacent film making workshops. Assessment: group video (60%), plus treatment and evaluation (40%). In this module we bring together students from across multiple creative media disciplines to collaboratively address a conceptually framed brief, and to see a project through from initial idea to final production. The module will set a range of project briefs options related to contemporary events, situations and issues, and you'll be involved in working collaboratively on all stages in the production of work. We'll reflect on how different media technologies and aesthetic strategies enable us to frame our embodied experience of the world both for ourselves, and in the form of representation, for others. The module’s key practice concerns are collaboration, team-working skills and professional engagement. As such, it's a major opportunity to work with fellow students from different subject disciplines to gain experience of creative collaboration; bringing differing skills, experiences and perspectives together to produce a creative output for exhibition or event or festival accessible to a wider public audience. Assessment: 100% coursework portfolio. It is relatively easy to render high quality HD images with even the simplest cameras – it is more challenging to record and mix high quality sound. This module is designed to develop your confidence in working with music and sound and it starts with the concept of ‘sonic objects’ and ‘visual events’. 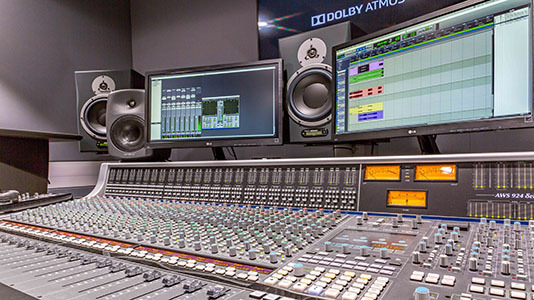 The key concern is that music and sound design for film demands creative and technical planning for good recording, mixing and final sweetening of the soundtrack. You'll build on technical and analytical skills acquired in the first year through the production of a comprehensive sound design for a film sequence or trailer. You'll work with both source and original sound and music, critically investigating how mood and meaning is constructed through the dialogue between the image and sound tracks. Assessment: sound design for a 3 minute film sequence, plus a 1000 word reflective and evaluative statement. In this introduction to writing the short film you'll develop and write an original 10-minute screenplay for a short narrative drama. You'll explore the nature of narrative screen drama, and take part in research and development workshops, generating new ideas, while considering the complex relationship between the script and the screen. You'll analyse structure, plotting and setting, learn the difference between exposition and dialogue, while also thinking about such matters as point of view and mise-en-scene as narrational tools. Assessment: 100% coursework made up of 10-minute screenplay (70%), 1-page treatment (10%) and 500-word reflection of scholarly and trade literature (20%). Incorporating pre-production and production techniques, working with actors and directing screen drama, this module explores the importance of planning, research and development both for the producers and directors of short dramas, but also for small film crews. We'll explore the roles and responsibilities, as well as the management issues involved in producing and directing. You'll develop an understanding of the range of skill sets involved in these roles. Assessment: 100% coursework made up of a 7-10 minute film drama (group-project) and individual critical reflection (30%). This module is substantially technical in its orientation, but with the ultimate goal of enabling you to achieve the aesthetic quality in your film images that will best serve the drama. You can expect to become more confident and safety minded when working with lights and electrical power, but also to become more confident in your ability to realise a certain look on camera. You'll produce a series of filmed scenes that use natural light, studio lighting and on-location lighting setups with the ambition of illustrating different cinematic styles. Assessment: group work (60%) and an individual production book (30%). 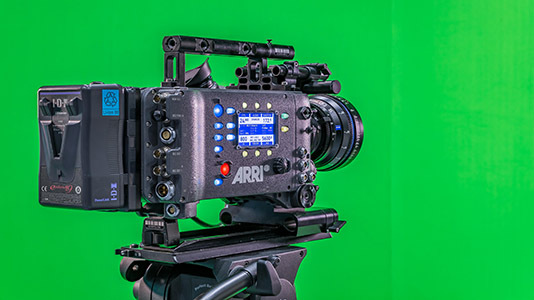 In addition to studying the role of Director of Photography (DoP), you'll receive extensive training in the use of digital cinema cameras, such as the Arri Alexa, Arri Amira, and the Alexa Mini, cameras that are capable of shooting in Log C format and 4K Raw. These cameras are designed to emulate the look of celluloid based film cameras, but also provide enormous flexibility in post-production to produce images to suit a range of high-end needs. The Director of Photography is responsible for what a film looks like, typically lighting and framing each shot, often operating the camera, while also working closely with the lighting department and with the director. In this module you will become accustomed to the on-set relationships that facilitate this pivotal crew role, and with the technical workflow that allows all crewmembers to work together efficiently to realise the director’s vision. Assessment: a short drama, group project (80%) plus your critical reflection (20%). Working with camera footage shot in Log format (Log C encoding), such as on the Arri Alexa, gives you the greatest dynamic range (the most information in both highlights and shadows), but also demands colour grading to correct what looks like a washed out, low contrast image. This is just the most recent development affecting the job of the colour grader, who otherwise works to ensure that all shots in a continuity sequence are colour matched, while also achieving the colour and contrast that match a director’s aesthetic criteria (the look of a film). This module is technical in its focus, giving you an experience of working to industry standards and according to established workflows in professional colour grading suites, using footage shot on High End digital cinema cameras. Assessment: supplied shots and scenes colour corrected (60%) and production workbook (30%). 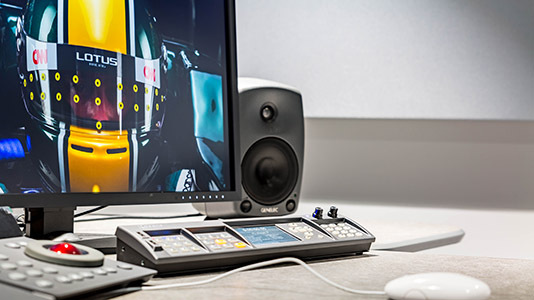 This module provides skills-based training on editing software and workflows, along with practice-led seminars that explore the particular creative challenges of sound and image in continuity editing for drama. You'll explore concepts of spatial continuity and the key techniques for creating temporal, graphic and rhythmic relationships in their edits. It is important that you recognise the art of editing beyond the simple metrics of the cut, so the module will also examine theoretical and practical approaches to temporal decompression, retrospective signification and syncopated editing. You'll be working with the writing/directing and cinematography pathway students, further developing the system of feedback where learning outcomes in one part of the course feed into another. Assessment: short edited film (60%) plus reflective evaluation (40%). The final year Research Project gives you the opportunity to conduct original research in an area of your degree or field of interest. You'll demonstrate high-level academic /case study research skills, relevant to your subject and professional interests. The Research Project follows on from L5 Practice and Theory modules and allows you to use any of the concepts, practices and methods encountered on your course to resolve your personal project. You'll manage their own learning under the guidance of their supervisor. You'll have the option of submitting a 6,000-word Research Paper or a portfolio of case study research (50%) supported by a 3000 word reflective essay (50%). This module allows you to produce an advanced, final film project, produced to a standard that is capable of attracting the interest of employers, future funders and collaborators. To this end you'll receive a combination of film production workshops and tutorials, visiting industry speakers, as well as sessions giving them a perspective on the state of the film and media industries now and the role of the producer in the contemporary context. All of this is designed to give you the best chance to present your skills and outputs to audiences and professional industry practitioners alike, beyond graduation and into your future careers. Assessment: 100% coursework made up of film production (group or individual) 70%, plus showreel 90-120 seconds (15%) plus a written and researched proposal for a new film production company (15%). By now you'll know that it is possible to analyse the work of contemporary filmmakers in terms of the issues and concerns that they address. This module reverses the equation and asks you to work from a theme or structural form attached to debates and issues in film culture and the film business. The module asks you to develop work in which you draw specific connections between the work of theory and the work of practice working from a specific brief. The aim of the module is to give you an opportunity to experience the discipline of working from predetermined subjects or formal constraints, which will emulate the conditions of industry and professional practice. The module will present an overview of the issues and debates facing the film business with the implications of new technologies and new modes of working practices. Assessment: professionally realised film based on a brief, plus an 800-word reflective statement. This module introduces you to concepts and practices of both film reviewing in a number of contexts, and film curation, including archiving. It'll outline the milieus of the film review in relation to other areas of film writing such as film criticism and film theory, and provide you with an opportunity to practice film reviewing by publishing to a student-owned blog on the WordPress platform. In addition, we'll explore film curation and the role of the film curator within the spaces of the art gallery as well as the wider film industry. We'll chart the changes that have occurred in film programming over the past decades and explore the important contribution of film festivals to the production industry, and the role of the film archive in a digital context. As part of the module, you'll gain experience in programming an original idea of your own for a film festival or curation event. Assessment: x2 film review blog posts (50%) and a film festival or curation event proposal of 1500 words (50%). Final film plot. This module asks you to prepare and produce a script and/or portfolio that serves as the template for their Final Film, along with a short video prototype, or pilot, that explores the aesthetics and practicalities of the film idea. 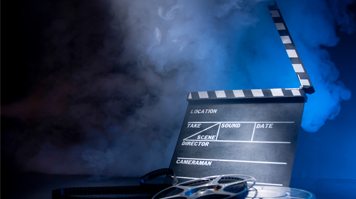 Students will be required to engage both with the limitations of the final film brief, a five to fifteen minute film or video, and the demands of writing for their chosen genre or mode of production. Assessment: 100% coursework made up of a pre-production portfolio and a film pilot (group-work). Camera Department. In this module you'll focus your attention on the collaborative processes, technical intricacies and creative techniques of the camera department, from the role of DoP, to 1st and 2nd Camera Assistants, including the role of Clapper Loader. Working with drafts of short, fiction screenplays or scenarios derived from the Writing/Directing pathway, you'll work in teams and collaborate with other departments to shoot material for the Final Film Pilot. To this end you'll collaborate with the 1st and 2nd Assistant Directors and Script Supervisors from the Writing/Directing Pathway to ensure that shot logs are properly recorded, continuity is maintained and all media finds its way to the Editing Department via the person responsible for Digital Intermediate Transfer (DIT). Assessment: film sketch group-work (70%) and reflective statement (30%). Visual Effects. This module provides skills-based training in the use of VFX software and Motion Capture technologies to give you a grounding in this rapidly evolving area of technical and creative production and post-production. In this module we'll explore how material is originated, as well as the historical and contemporary workflows adopted by the industry. Through a range of practical projects, a core set of skills will lay the foundation for students to develop an industry focused skill-set, to work collaboratively with other filmmakers and designers, and to develop a Showreel capable of attracting the attention of employers. Assessment: creative portfolio (70%) and presentation of research (30%). Studying film in London puts you at the centre of the filmmaking business. You’ll leave the course with a showreel you can be proud of, confident in your knowledge and ready to take your first steps in a professional career in the film, television and media industries. This course is also excellent if you want to make a career change, or focus, enhance or update your current media skills. Take a look at some potential careers, including film/video editor, in our Prospects section. You could also apply for further study at postgraduate level. Some of our postgraduates have presented at the British Film Institute and we’ve seen our students win prizes at major festivals. Our teaching team have contacts with key production and post-production facilities and organise masterclasses with industry professionals. Recent classes have featured Mike Coles (cinematographer), Alasdair Baines (1st AC), Richard Turley (writer/director), Josh Buckingham (Commissioner at All4), Rob Kraitt (Agent at Cassarotto), Mike Plante (Head of programming for short films at Sundance) and Rich Warren (Festival Director – Encounters Short Film Festival). You'll undertake an official work placement. Our students have secured work experience at Channel 5, Channel 4, ITV, BBC, Arri rental, BFI, Halo Post Production, Parlophone Records, Vogue, Spun Gold TV, DMLK Video, InDigital Images and Camberwell Studios, with many of them going on to work for these same companies in the same or more senior roles. For example, two of our alumni, Lauren Holden and Alistair Holloway, currently work for the BBC, Lauren as producer at BBC Worldwide, while Alistair is camera operator and DIT technician. 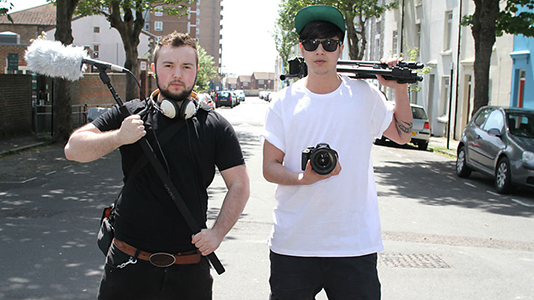 With our 'Future Film Practice' module in 3rd year, and a pathway structure designed to develop specialist skills in Editing, Cinematography and Writing & Directing, LSBU's Film Practice has employability at its heart, especially where such employability is understood as a commitment to new thinking and an enterprising spirit. That's why we're accredited by ScreenSkills. You will also get the opportunity to gain skills in Blackmagic Design’s DaVinci Resolve 14, post production software, with an accredited trainer. DaVinci Resolve 14 is three high end applications in one with professional editing, colour correction and the new Fairlight audio tools. 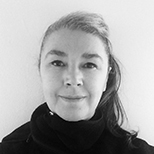 Dr Tarrant is a filmmaker whose primary interest is in experimental and documentary filmmaking and the expressive possibilities of montage. 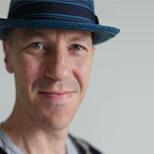 Chris Elliott leads the Division of Film and Media in the School of Arts and Creative Industries. 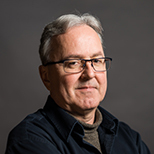 His research interests are focused on film music, music as drama, and audio and visual specularity and immersion in film practice. Matthew is a filmmaker and film-thinker. His research interests include film practice, focusing on affect and tone in narrative cinema, documentary film, and experimental practice. 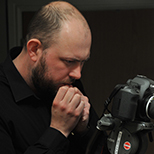 Ben Mallaby is a BAFTA-nominated comedy director of commercials and short films for festivals and online. 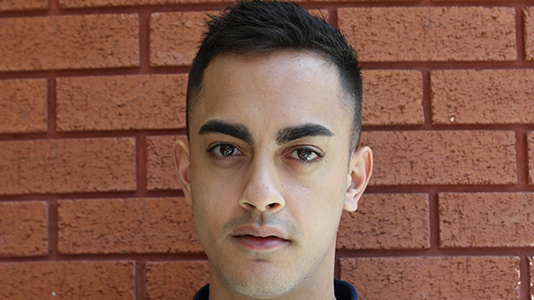 He has directed a six-part web series for BBC3 with Tiger Aspect called ‘Climaxed’. He’s had films screen at the BFI London Film Festival and won awards internationally. Meloni Poole is a writer and director who has made films for Channel 4, the British Film Institute, the Arts Council of England, Channel 4 and Film4. She is currently making TRiGGA, commissioned through the Creative England and BFI Network I-Shorts scheme. 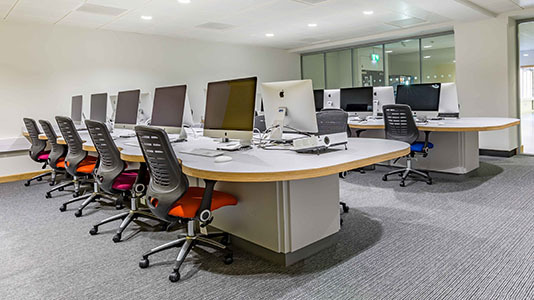 We've invested heavily in our on-campus facilities to ensure that our students and commercial partners have access to leading-edge digital technologies and fit-for-purpose spaces for creative practice. Your practical work will be supported by a team of Technical Tutors and will utilise our resources in Elephant Studios. 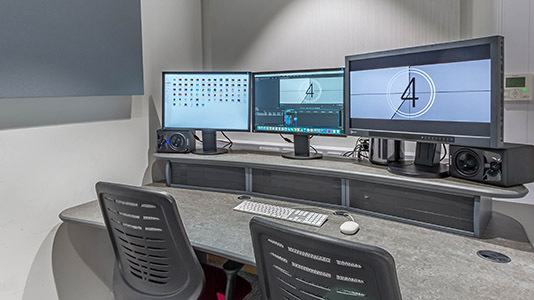 Here, you will have access to 4K Digital Cinema Cameras, 4K Cinema and Film Studio, along with a range of HD cameras, photographic studios, field sound recording equipment and computer labs with high-spec computers supporting cutting-edge video and multimedia software. You will have appointments with your personal tutor at least once a semester for 20-30 minutes throughout your course. You can contact your tutor for additional meetings or support by email. Watch a video of the 2013 degree shows at venues such as the British Film Institute (BFI) and Bermondsey Project Space. 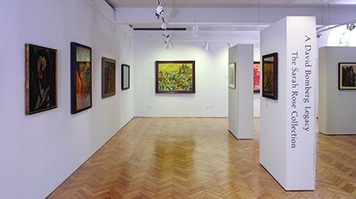 The gallery is a home for visual art and a unique part of the University's heritage. Opened in 2012, the Borough Road Gallery contains valuable and significant works of Post War British Art in a public collection, produced by the celebrated artist and teacher David Bomberg (1890-1957). Kurt is studying BA (Hons) Film Studies at London South Bank University and is currently part-way through a 12 month internship at Universal Studios. 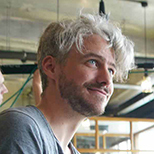 Lewis Hancox, BA (Hons) Film Practice, made it onto The Guardian's list of top 30 young people in digital media in 2014. Rabiger, M. (1997) Directing the Documentary. London: Focal Press. Bordwell, D and Kristin Thompson (2009) Film Art: An Introduction. Mascelli, J.V (2005) The Five C's of Cinematography: Motion Picture Film Techniques. Los Angeles: Silman-James Press. Chion, M (1994) Audio-vision: Sound on Screen. Edited and translated by Claudia Gorbman, with foreword by Walter Murch. New York: Columbia University Press.